From the lead writer of BioWare’s Dragon Age games comes this original six-part story, available exclusively from the Dark Horse Digital Store! It’s unusual for a king to embark on a dangerous quest himself rather than send an emissary, but King Alistair Therein has caught wind of a rumor big enough, and personal enough, that he is compelled to investigate—though not alone. 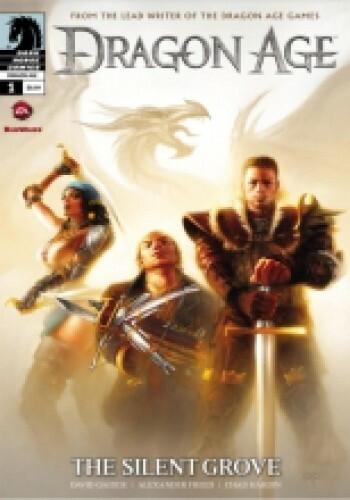 With deadly, wisecracking mercenaries Isabella and Varric by his side, Alistair travels to a city of assassins to learn the truth about his kingdom and his own reign!